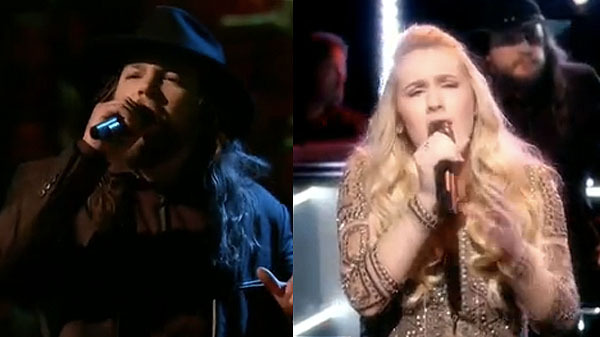 Adam Wakefield and Peyton Parker battled it out for a spot at Team Blake on The Voice Season 10 Knockout Rounds, Tuesday, March 29, 2016. “Peyton, I thought you did a great job, your voice is unbelievable. Adam, your voice is dirty that works for Christina. It’s just so good,” said Blake Shelton. The winner of this battle is Adam Wakefield, he is moving to the Live Playoffs. No steal for Peyton Parker.